This week JDRF opened up the application process for the 2019 Children’s Congress. JDRF 2019 Children’s Congress will take place on July 8-10, 2019, in Washington, D.C. Apply on the JDRF Children’s Congress website. Read my “Thoughts on How and When to Apply” for JDRF Children’s Congress. 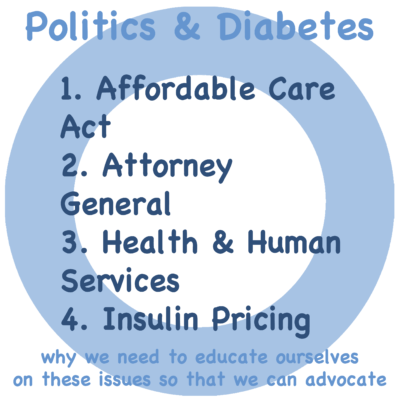 I don’t typically talk politics, but there are some important issues that affect people with diabetes as we transition to a new president and cabinet. Two things (of many) that we, as parents of children with type 1 diabetes, need to keep an eye on are the Affordable Care Act (AKA Obamacare) and changes to Section 504 of the Rehabilitation Act of 1973. Please don’t forget that you have a voice and can contact the people who represent you in the house and senate and let them know how these issues affect your family. The health and wellness of our kids is a bipartisan issue. Let’s educate ourselves on these policies and the people who may enforce (or repeal) them so that we can advocate for our children. On the campaign trail Trump routinely said that he would repeal the Affordable Care Act (ACA). Rather than repealing, I personally think that the ACA, as written, was a starting point and should be revised and improved to make it better and better. Two parts of ACA that are monumentally important to our children with diabetes are the preexisting condition clause, which states that they cannot be denied coverage or services because of their preexisting condition, and the ability to stay on a parent’s insurance until they are 26 years old, an issue I feel is important because I don’t want lack of insurance to be a stress point for my child as she goes to college and lands her first job in her field (which we all know sometimes those first jobs have poor pay and benefits). Although he has said that he might keep these two parts, we need to keep a close eye on this to make sure that the parts that positively affect our children aren’t taken away. When you hear about policy that affects “special education” children, you may not think it applies to your children with type 1 diabetes, but it does. The same laws that provide accommodations for children with special needs also apply to CWD’s including Free and Appropriate Education (FAPE) and the Rehabilitation Act of 1973 (AKA section 504). These are what are in place to make sure that our kids are getting the care they need in their school and accommodations to give them a leveled playing field. They are what ensures kids have an IEP and/or 504 plan to spell out what they need. Insulin pricing (and the huge profits of pharma companies who produce insulin) is an issue at the forefront right now. The possible secretary of health and human services Rep. Tom Price owns stock in Eli Lilly. It could be a conflict of interest if he has to make decisions on insulin pricing. Keep an eye on Bernie Sanders who has been talking a lot about insulin pricing the past couple of months. I hope that you take the time to read these articles (there are plenty more out there!) and think about how public policy and politics affect access to insulin, the ability for your child to get a great public education, and the discrimination that they could face in the workforce as a person with diabetes. I truly believe that no matter who you voted for, these issues should be bipartisan issues and that we can’t passively sit by. We must speak up and we must hold firm. I hope that you empower yourself to be a great advocate, because a parent is always the best champion for their own child. I know it seems like the summer of 2019 is a long way off, but JDRF has opened up the application process for the next Children’s Congress. Now is the time to start thinking about if you want to apply and how your child can be a more qualified candidate. I will give the caveat that I in no way have anything to do with the selection process or know what they are looking for in a candidate; these are just my opinions based on our own experience applying and participating. Children’s Congress selects children with type 1 diabetes who will be aged 4 through 17 at the time of JDRFCC. Q was almost 11 when she attended, and I think that was a good age for her. She was able to make friends, tell her own story during our meetings, and introduce herself with confidence on stage. The teens also seemed to form a really tight group throughout the conference. I know that younger kids have the “cuteness factor” and that it’s heart-breaking to see little, little kids who have to have injections and check their blood sugar. I know the cuteness factor can go a long way to persuade legislators that we need funding for research and access to care. But the days during Children’s Congress are LONG. I saw many a young child asleep on their parent’s lap. Some younger kids were too shy or overwhelmed to introduce themselves on stage. And there was A LOT of fast-paced walking when we were on the hill. We had to go from one end to the other and back again with a short time between meetings. Consider if you are applying because you want the opportunity to advocate or because your child wants to advocate. Consider whether your child is at an age that they can have a meaningful experience and if they will fully remember the experience. We applied twice, and Q was selected the second time. While some children are selected the very first time they apply, some kids apply multiple times before being selected. Again I don’t know the selection criteria, but I think that sometimes decisions might be based on the number of applicants from a state or congressional district and might also be based on key members of congress who they need to reach. Not to mention the fact that many, many fabulous d-kids who all deserve to go apply for each congress. It must be heart-breaking for the selection committee to say no to the vast majority of kids who apply. I’m not saying to fabricate or exaggerate in your child’s application but think about ways that can make your child a better candidate and things that your child is already doing to raise money or awareness or provide support. 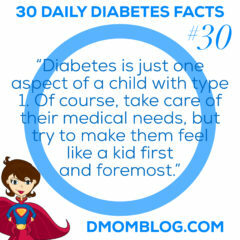 Since this is put on by JDRF, think about ways that your family or your d-kid is involved in JDRF. Are you a JDRF mentor, do you participate in walks, do you lead support groups, has your d-kid raised money or raised awareness at school or in the community? Q and I attended a JDRF Promise Meeting with a congressman between her first and second application (not because we were thinking about the application, but because we wanted to do this outreach). Now is a great time to sign up to attend a Promise Meeting… even if you aren’t thinking about Children’s Congress. When we met with our congressman in his DC office, he remembered Q from our Promise Meeting in our hometown. A promise meeting is a good time to let legislators know why it’s important to think about children with diabetes when they make big decisions by sharing your child’s story. The first time Q applied she was too young to fully write her essay and answer the application questions. The second time around, I let her run with it. 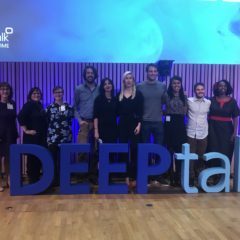 She thought about each question and answered in her own words about her own experience with diabetes. 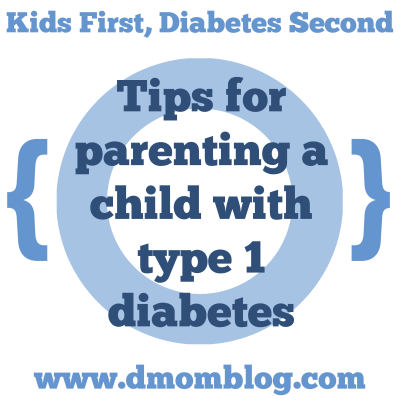 I think this is an important part of empowering our kids with diabetes…they need to form their own viewpoints about what is difficult for them and what is important to relay to others. 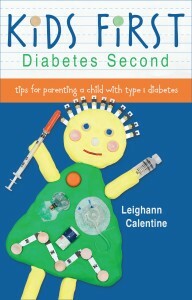 I think that an application in the child with diabetes own words is much more powerful than one written by the parent. Of course the parent perspective is important, too, but I personally feel that this is a time for the kids to put themselves forward. Filling out the application and participating in Children’s Congress can give T1D kids their own voice, a voice that they can use for the rest of their lives to advocate for themselves and others. I interviewed Hallie Addington and her daughter Avery about their experience at Children’s Congress. You can read “A Mother and Daughter’s Experience at the JDRF’s Children’s Congress” on Insulet’s website. I hope that I didn’t sound like a Negative Nelly because that’s not my intention at all. I just wanted to be real about what it might be like for younger kids. I think it’s awesome that you and your T1D kiddo want to advocate (no matter their age). I know you might be disappointed if your child isn’t accepted this time around. I wish that every single child with diabetes could experience Children’s Congress. But please know that just by applying you are advocating. Keep trying. Apply every single time you can. Again, I am not part of the selection committee. These are my opinions based on our own experience. The 2015 JDRF Children’s Congress culminated with a senate hearing led by Senator Collins focusing on people living with type 1 diabetes and addressing the recently renewed Special Diabetes Program (SDP) and the bill currently going through congress on CGM access for people on Medicare. 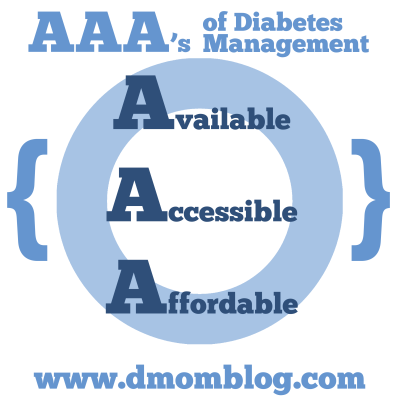 For me, advocacy takes on two meanings when it comes to diabetes. First, as parents, we advocate for our children, whether it’s making sure a 504 plan meets our child’s needs at school, or helping to push diabetes-related legislation, such as the Care of Students with Diabetes Act in Illinois, into law. These are acts we do on behalf of our children to better their lives. The second advocacy role involves educating and spreading the word. 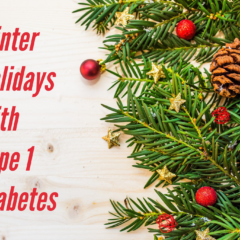 This might be done through interviews with local media about the lives of children with diabetes, giving a talk at a PTA meeting or teacher in-service about the signs and symptoms of diabetes to help people identify children exhibiting early symptoms, or meeting with your congressional representative through programs such as the JDRF’s Promise to Remember Me campaign. Advocacy can help your child directly by making sure he or she is safe at school, or can be for the greater good by encouraging politicians to continue federal spending on research and programs benefiting those living with diabetes. Part of advocacy is identifying the key issues and deciding which ones appeal to you personally. 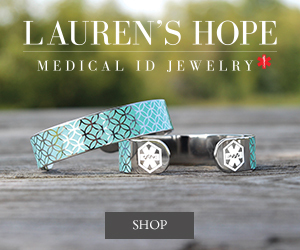 JDRF’s advocacy site is a good place to start (advocacy.jdrf.org). And advocacy isn’t just for grown-ups. Children can be very powerful advocates, too, both effecting change and educating. I joke that Q is “loud and proud” about her medical condition. She never passes up an opportunity to tell people about her diabetes. I often recall the time when she was about four and we were in the cafe at the library. She finished eating the snack we had brought and went over to talk with an elderly couple at another table. When her brother finished his snack, and we were ready to return to the children’s section, I went over to the three-some. The octogenarian told me that he and Q were “talking diabetes,” as he was type 2. He and Q had been conversing about checking blood sugar! 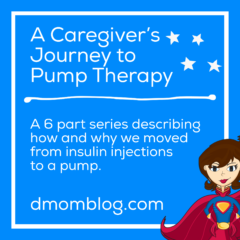 During a recent trip to the endocrinologist, she taught not one, but two people with diabetes about the insulin pump. The first was a child of about ten who takes five injections a day. Q showed her our supply bag and her insulin pump, and then tested her blood sugar. We demonstrated how easy it was to give Q insulin for her clementine snack with the pump. The girl and her mother were amazed. When we stopped to dine on our return trip home, we learned that our waitress was recently diagnosed with LADA (latent autoimmune diabetes in adults), and had been having wild blood sugar swings. 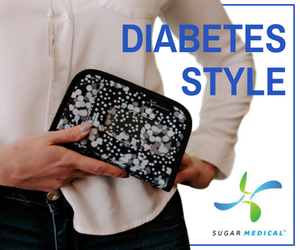 Q once again demonstrated her insulin pump, and the young woman said she was going to talk with her endocrinologist about her options. Children naturally become advocates because they don’t sugarcoat it. They tell it like it is, and are willing to share what they know and feel with others. If your child is ready to get involved, he or she can start as simply as a show-and-tell at school, reading a book about diabetes to classmates and showing the children some of the supplies needed for daily diabetes care. For children who really want to take advocacy to the next step, JDRF facilitates a Children’s Congress on Capitol Hill every other year where children meet with members of Congress to tell them about life with diabetes and urge the continued funding of diabetes research.